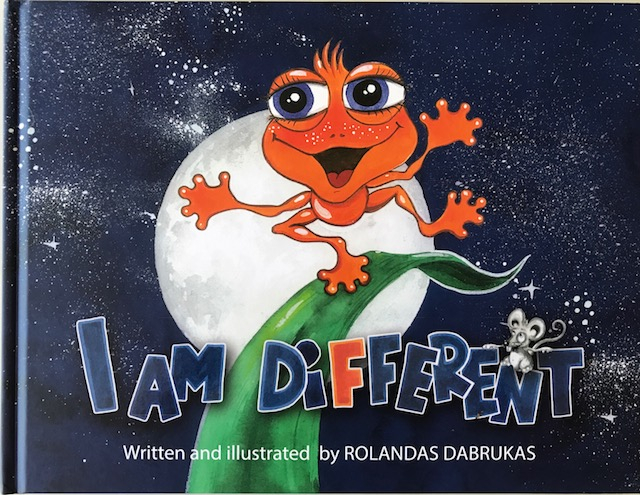 I am Different is a children’s book about discrimination and friendship. How a little frog Tutis was discriminated in his home pond because of his orange skin color. All other frogs where green including his own parents. He became lonely and aloof because they discriminated him for being born orange. But story ends with a happy ending and a moral. Tutis was captured by a young stork, named Ora, who became his best friend and showed that there is no such thing as being different. We do not need to be all green. Color, shape and race do not make us different, but rather our unfriendliness and insensitivity towards one another. Also this story encourages children what they do best – that is to be friendly. This book is about true friends that make a difference.